Round 4 V-League 2014 has happened with 5 Games in the evening of February 9th, the hosts won 4 among those. Meanwhile, Thanh Hoa come back to defeat B-Binh Duong and stayed firmly on top. B-Binh Duong is now lead by Coach Le Thuy Hai who is quite familiar. The whole team has an excellent beginning. In 9th minute, Anh Duc open for visitors after a quick counter attack. However, 8 minutes later, Thanh Hoa’s equalizing prevented Coach Hai from his happiness. Striker Ceh successfully made use his free-kick to lead ball into goalkeeper Esele. Entering the second half, Thanh Hoa continued controlling game and put pressure under B.Binh Duong. In 49th minute, Dinh Luat’s incautious breaking ball caused a penalty because the ball touched Tien Thanh’s hand. Ceh successfully took this advantage to set 2-1 victory for Thanh Hoa. Thanh Hoa still stays firmly on top with 3 points and 10 points in total that is more than the runner Quang Ninh Coal 3 points. Quang Ninh surprised audience when they still kept stable form after a chain of internal financial problems. At Cam Pha stadium, Quang Ninh even defeated DTLA 3-0. 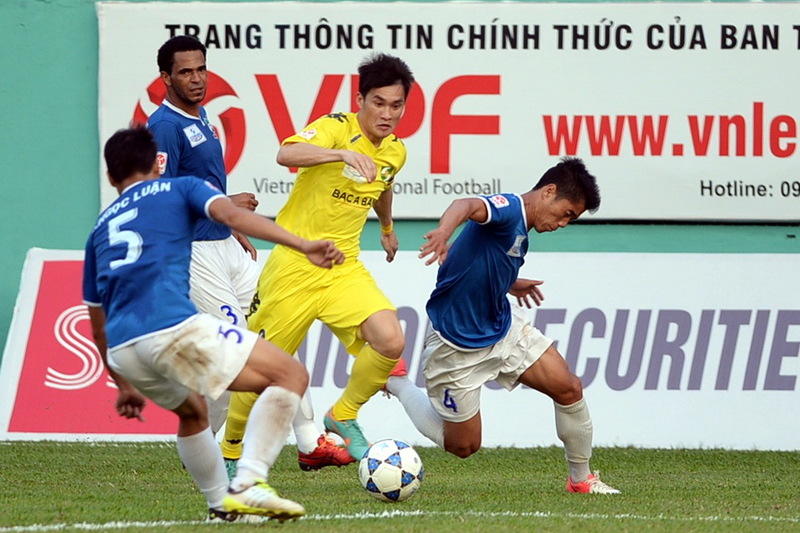 The hosts controlled game however till the middle of second half, Quang Ninh’s opened goal came from Xuan Ngoc. Then they had two more goals by Xuan Ngoc and Uche. At Pleiku, SLNA was beaten by HAGL. Before this game, Cong Vinh had showed his decision to play a record of 100 goals however he failed to do that. Whereas, Timothy scored 3 goals fro HAGL in the first half. SLNA’s atempt only brought them one goal In the second one. Game ended with 1-3 win for HAGL. 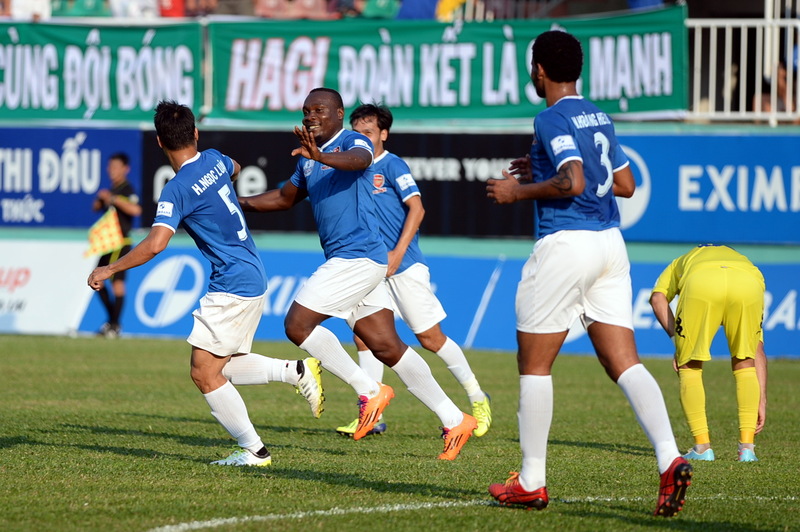 Hai Phong won 2-0 over HV-An Giang when they had two goals from Dinh Tung ( 35′) and Justice ( 60′). Besides that, at Hoa Lu stadium, V.Ninh Binh opened in 70th minute, however they failed to maintained their leading when letting SHB Da nang equalizing in the end of game.